iACT ADJUSTABLE ON-THE FLY ELECTRONIC SUSPENSION: Switch between soft, medium and firm suspension at the push of a button, with handlebar-mounted controls that automatically and immediately adjust your suspension FOX ZERO iQS gas shocks. SLIDE-ACTION with 3 wheel rear axle assembly, coupling blocks, torque-sensing link rear arm and adjustable torsion springs. 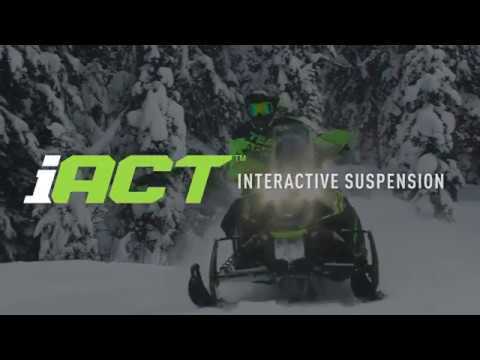 Interactive Arctic Cat Technology (iACT) suspension.